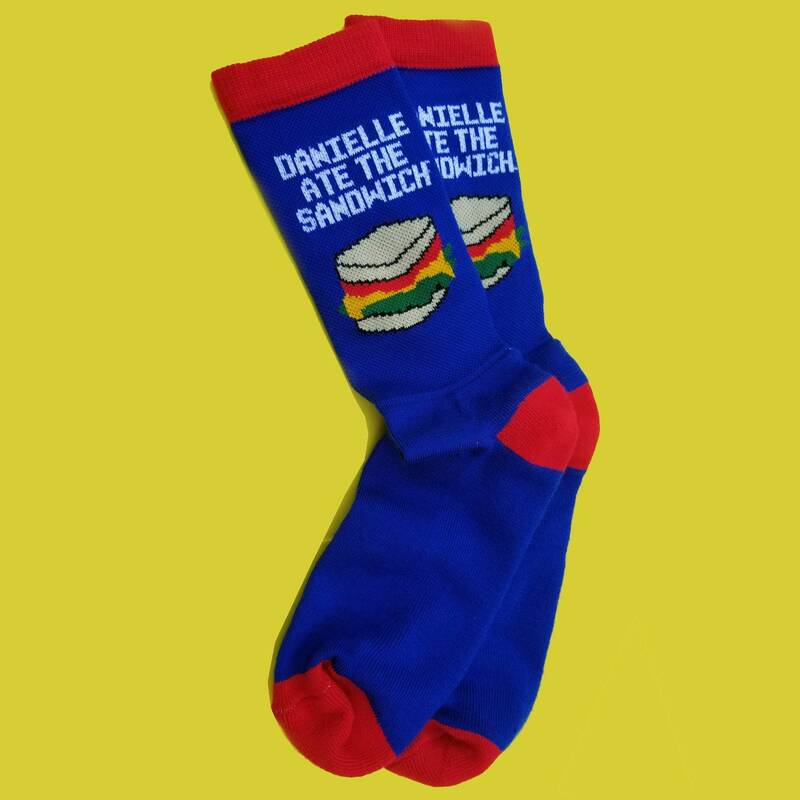 Keep your feet warm with these Danielle Ate the Sandwich socks! 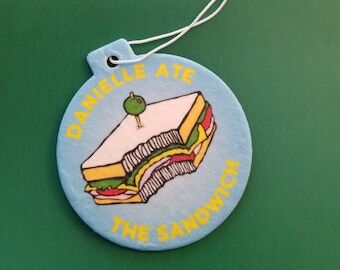 Featuring a woven sandwich design, and red heels and toes! Includes one sock for each foot - what a deal! Socks are Mens size Large 9-11, and have been pre-shrunk. Made in the USA, printed by Custom Sock Shop.